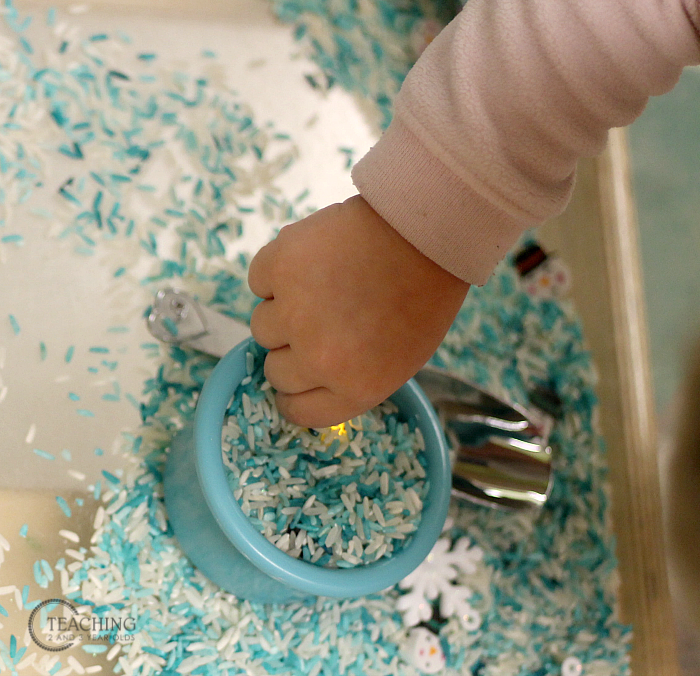 Inside: This winter sensory bin is loaded with dyed rice, various sized snowflakes, small snowmen and scoops. But what makes it most fun are the flickering tea light candles! 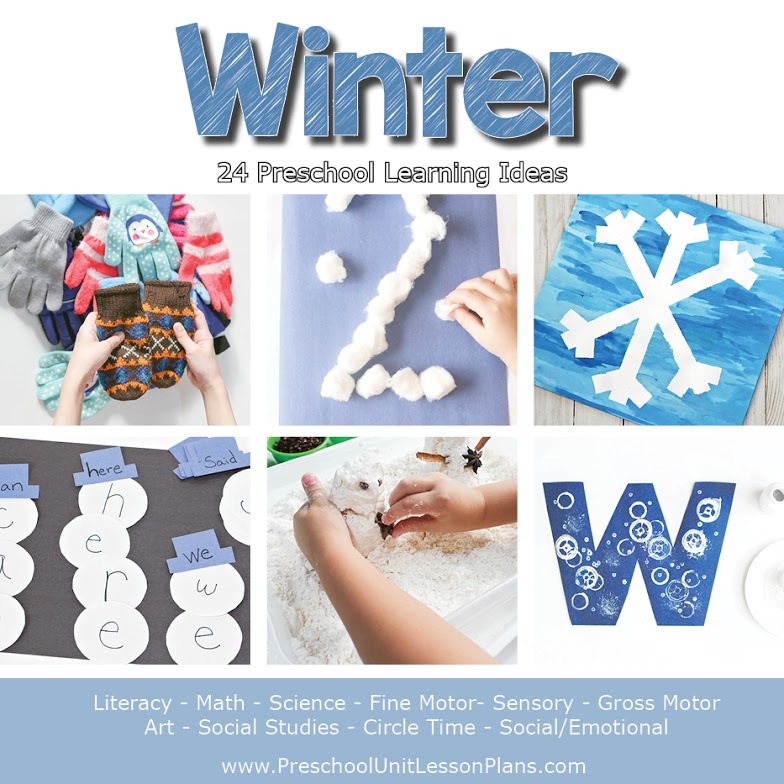 A great way to build fine motor skills during your winter theme. While working my way down the aisles in my local grocery store, flicker tea light candles caught my eye. I instantly remembered how much we loved them 5 or so years back, when I was given a huge stash of them from my mom for Christmas. Because moms of teachers just know when something looks good for her daughter’s classroom, right? Brilliant, I thought! 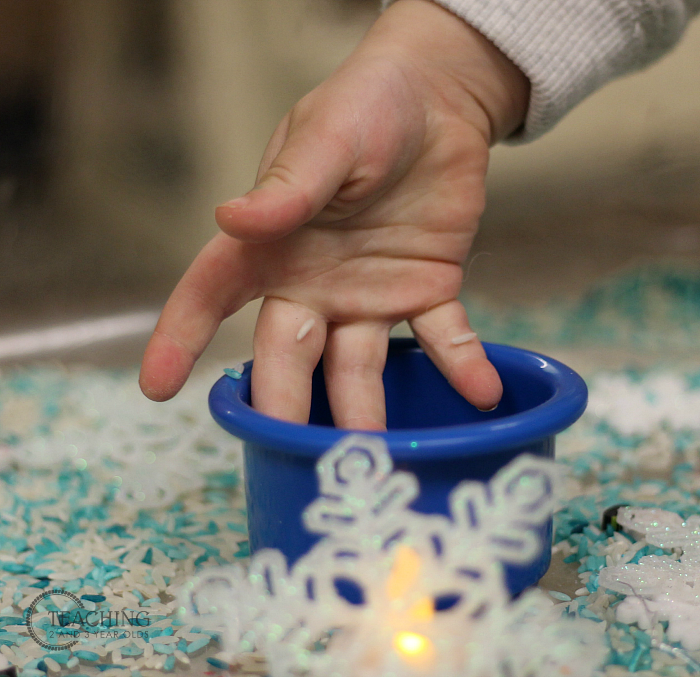 I don’t think I would have ever thought to use flicker tea lights as part of our classroom activities! 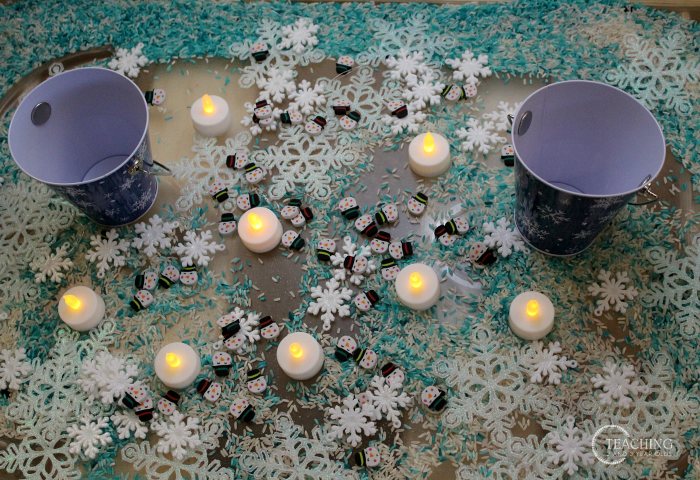 Fast forward to this year, and I’m not sure what happened to those tea lights. I imagine the batteries eventually wore out and they were tossed. So, when I saw them after Christmas in our grocery store, on sale (but of course! ), I just knew I had to get them. 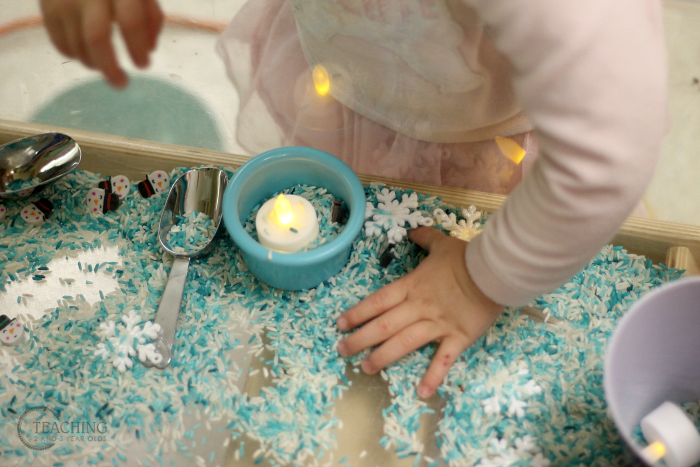 And the idea of a snowflake sensory bin – with flicker candles – was born. 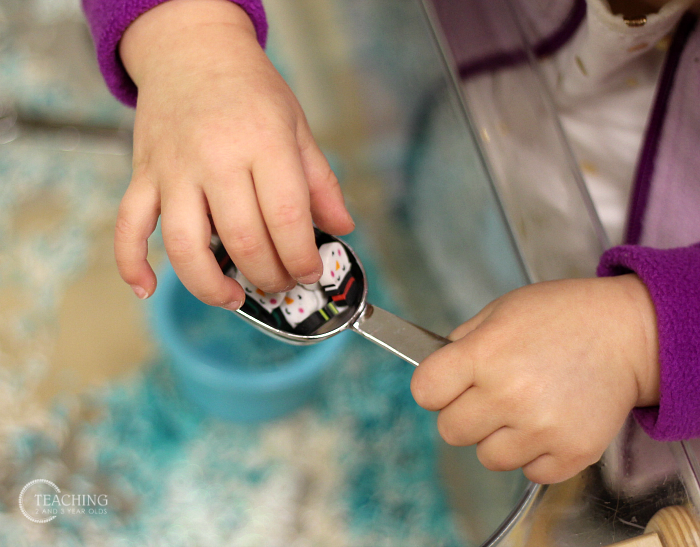 Like with many of our sensory bin activities, I wanted to focus on building fine motor skills, too. So I made sure to add small pieces, scoops, and little buckets to fill. 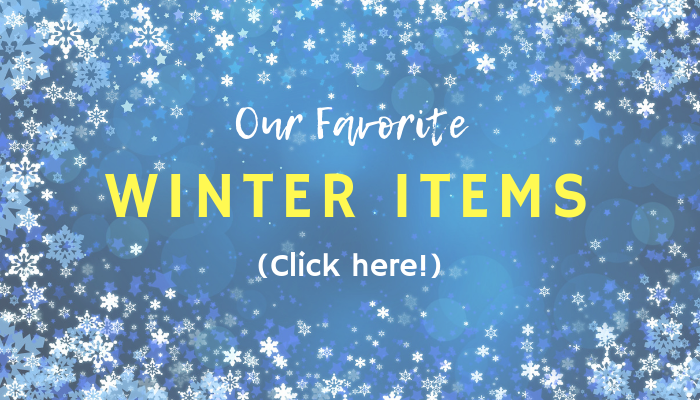 Now really, you can easily substitute any wintery stuff you might have on hand. These pieces are what I happened to find during an after-Christmas sale. 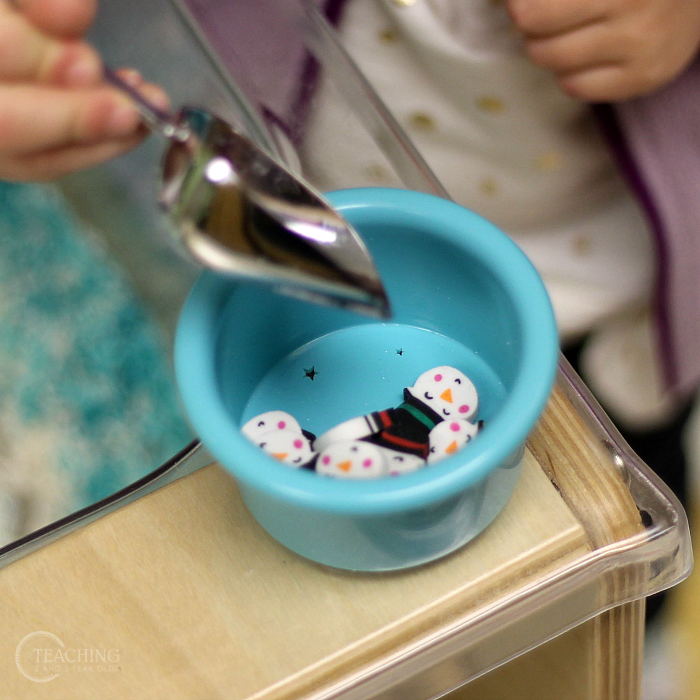 Before I continue, I must once again tell you that if this winter sensory bin is for children younger than 3, do not include the small snowman erasers unless you know your children are not putting things in their mouths and you are supervising. Always use your best judgement. 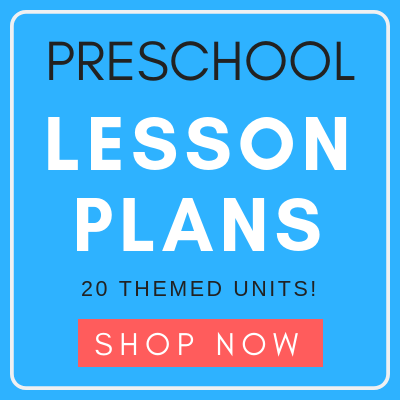 This goes with 3 year olds, too. While observing our children using this bin, they at first just wanted to scoop rice with their hands. They filled the small cups and then poured them out. Only then did they pay attention to the flicker candles. They placed them in the cups and covered them with rice. Sort of a hide-and-go-seek thing. Then they scooped the snowmen, seeing how many would fit. 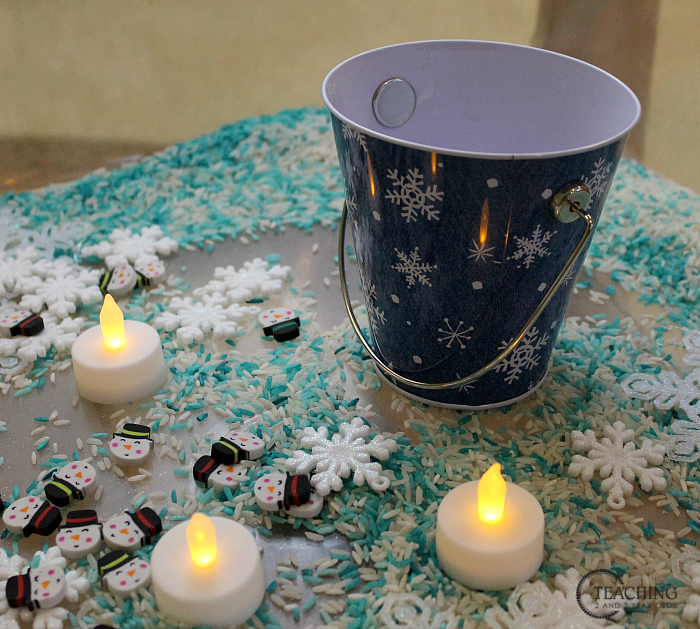 The rice was removed from the small cups and the snowmen were then added. And then, some math took place! 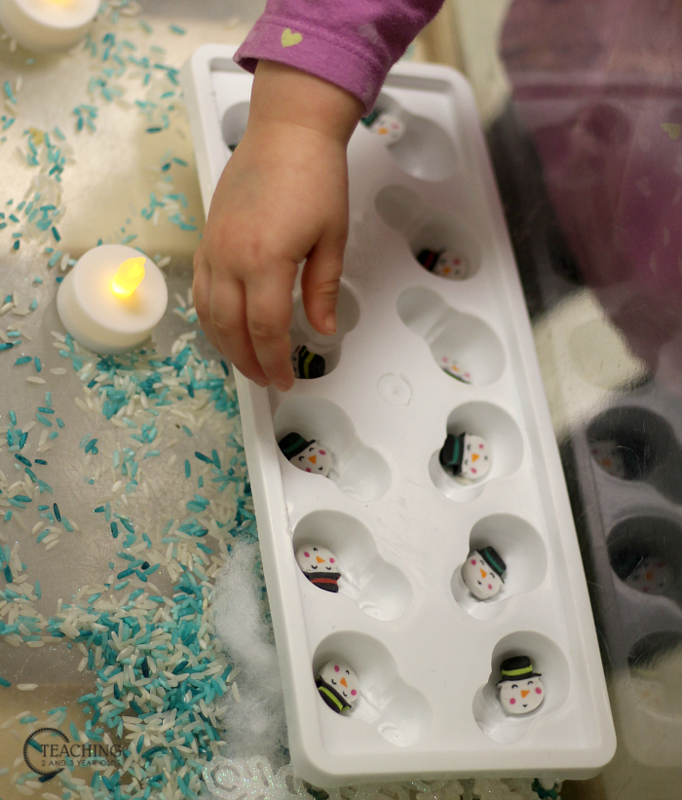 The children took the snowman ice tray and placed one snowman eraser in each spot, counting while doing so. My teacher heart was pretty happy. 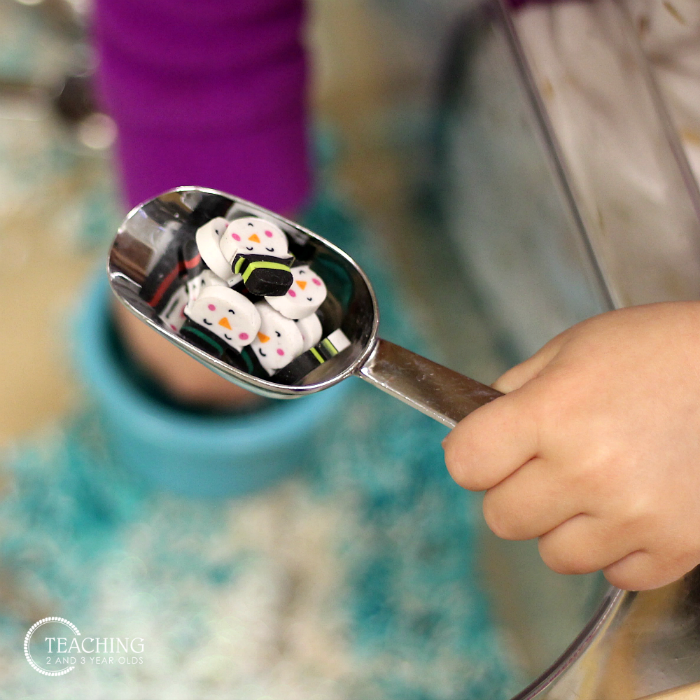 Another example of how learning can – and does – happen all over the classroom in hands-on, playful ways.